Kathmandu DK is a wonderfully soft yarn that is perfect for projects that call for either stockinette stitch or intense cables. 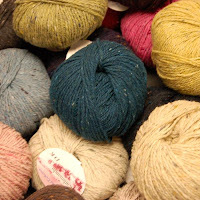 This yarn is made from 85% merino wool, 10% Silk and 5% Cashmere. 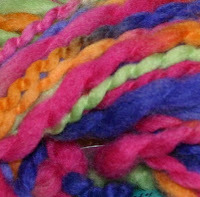 Each skein has 147 yards and knits to a gauge of 5 sts per inch on a US #6 needle. Big Wave is a chunky 90% wool and 10% cashmere yarn from the Queensland Collection. 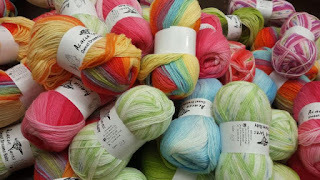 This wonderfully soft yarn comes in a number of variegated colors. 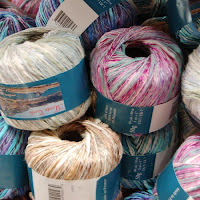 Big Wave knits to a gauge of 3 sts per inch on a recommended needle size US 10.5 and comes in balls of 55 yards. Uruguay Chunky is a wonderfully soft yarn that is perfect for projects that call for either stockinette stitch or intense cables. 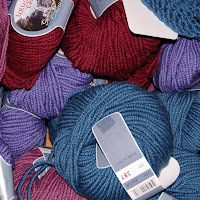 This yarn is made from 70% merino wool, 20% Baby Alpaca and 10% Silk. Each skein has 73 yards and knits to a gauge of 3 sts per inch on a US #10.5 needle.